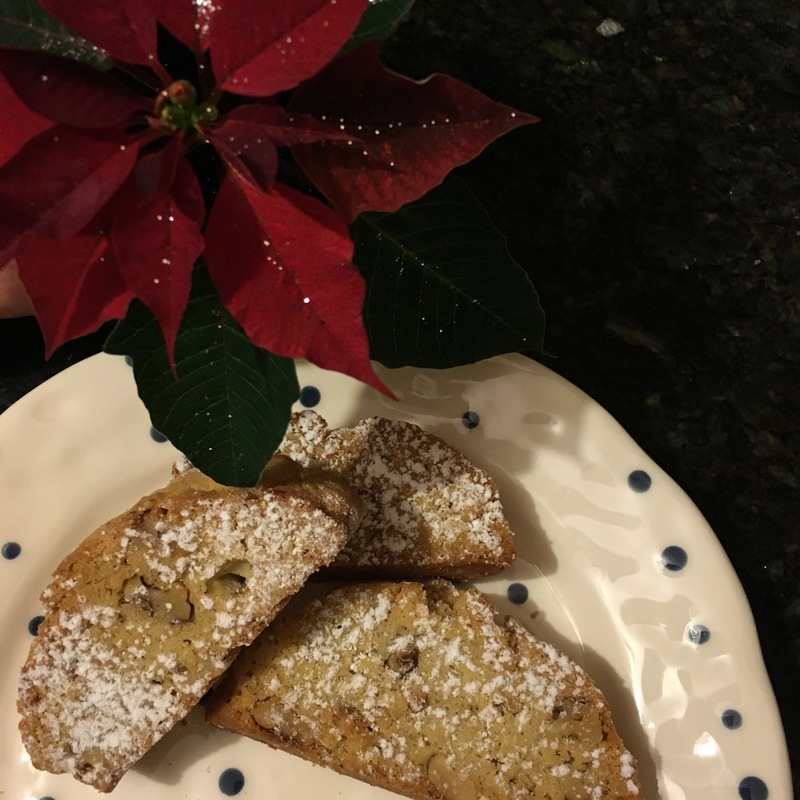 I got this biscotti recipe from my Grandmother. My son calls them cookie toast. I’ll skip putting up a tree before I skip making these. Form in about 8 small loaves (football shaped) and place on cookie sheet. Cook for approximately 20 minutes or until a toothpick comes out clean. Let loaves cool a bit and then slice each loaf (carefully so they don’t crumble) on a diagonal. Place individual biscotti back on cookie sheet and then place back in the oven to toast. After about 10 minutes turn them over and do the same until they are browned. Let cool and sprinkle with powdered sugar. Even better the next day.